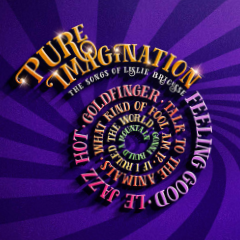 Danielle Tarento presents the world premiere of Pure Imagination - the Songs of Leslie Bricusse at the St. James Theatre, London from 24 September - 17 October 2015. Come and discover Leslie’s music performed by an outstanding cast of singers at the St. James Theatre this Autumn. If you’ve ever hummed a popular film or stage song from the mid-1950s on, the chances are you’ve been humming one of Leslie’s. The man behind songs such as Talk to the Animals, Goldfinger, Feeling Good and Pure Imagination has been celebrated throughout the music industry. Leslie’s story of talent, determination and a little bit of luck will take you on a fascinating journey from humble beginnings through this hardest of businesses to dizzying heights. This collection of timeless songs contain the original arrangements of many of the songs from the new show Pure Imagination. 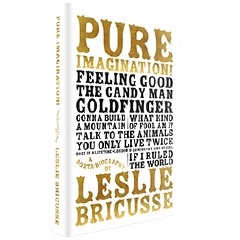 Arranged for piano, voice and guitar, it contains 35 songs, some never before in print, and includes the classics: Feeling Good, Goldfinger, The Candy Man, You Only Live Twice, and Pure Imagination. The songbook also includes rare photos, song cards, show posters and a newly written ‘On Songwriting’ piece by Leslie.